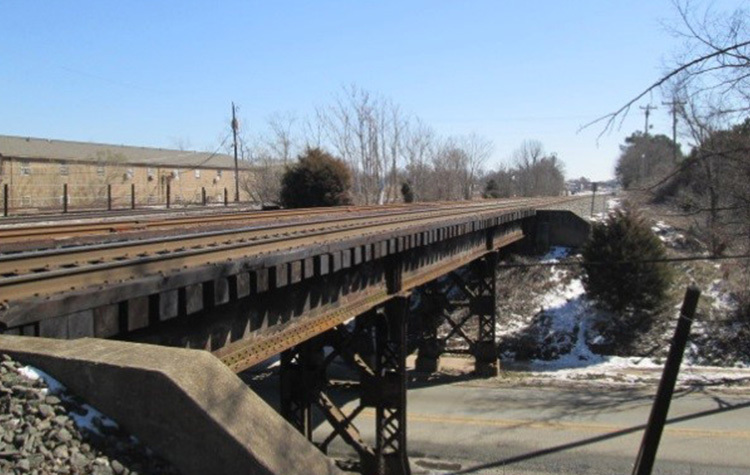 U-3308 - This bridge replacement project is part of a larger $39M endeavor for the widening of NC Highway 55 (Alston Avenue) in Durham County, North Carolina. The goal to modernize from Main Street to US 70 Business/NC 98 (Holloway Street) that also includes the addition of on-street parking, bicycle lanes, turn lanes plus median and access management. These improvements will reduce congestion and improve safety. TGS is performing the construction engineering and inspection (CEI) services for the installation of a new railroad overpass over NC 55. The unique challenge to this project, in addition to the roadway being heavily traveled, is a Norfolk Southern rail line runs immediately next to a CSX rail line, both requiring bridge replacements during this effort.